Marsannay is located in the north of the Côte de Nuits in Burgundy, just south of Dijon. It is the latest appellation accepted in Burgundy’s classification system. It produces red and rosé wines based on Pinot Noir grapes and white wines based on Chardonnay grapes. Red wine holds the majority in production accounting for around 70% of the total. Marsannay red wines are simple and easy to drink. They are characterized by their lovely red fruit flavors and nice complex aromas. Marsannay rosé wines are quite unique and are characterized by their strawberry and peach flavors. 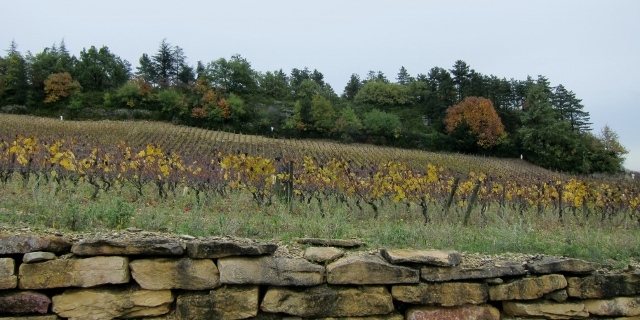 Marsannay is the only appellation allowed to produce rosé wines under Burgundy’s “Village” classification. There is no Grand Cru or Premier Cru vineyards within this appellation. White wines are based on Chardonnay grapes and may contain small percentages of Pinot Blanc and Pinot Gris grapes. Marsannay white wines are simple, mineral, and crisp with notes of citrus and flowers.